It's only 936 characters. We strongly recommend writing at least 1.000 characters. Use content that makes your app unique (features description, characteristics, how to use your app, ...). Your description needs to convince people to download your app. Also, be sure to add important and relevant keywords in your description to improve your iTunes app page and optimize your SEO. Your app's last version was released on May 09, 2014. It is important to regularly update your app. Best practices recommend to update your app every 4 to 6 weeks. This means fixing reported bugs, improving existing features, launching new features etc. Keep an eye on users' feedback. The next great features may already be asked by many users. Live Liga MX soccer scores, real-time data and live football scores for the Mexican Soccer League, La Primera División de México (Liga Bancomer MX). Top scorers, fixtures/results and table for the Liga MX. The Liga MX app shows the scorers of each match, given yellow cards, red cards, penalties and so forth. You will also receive a push notification when your favourite team scores! Notifications: Do you wish to receive push notifications for a match in the Primera División de México? You will receive a notification when either team scores during the match! 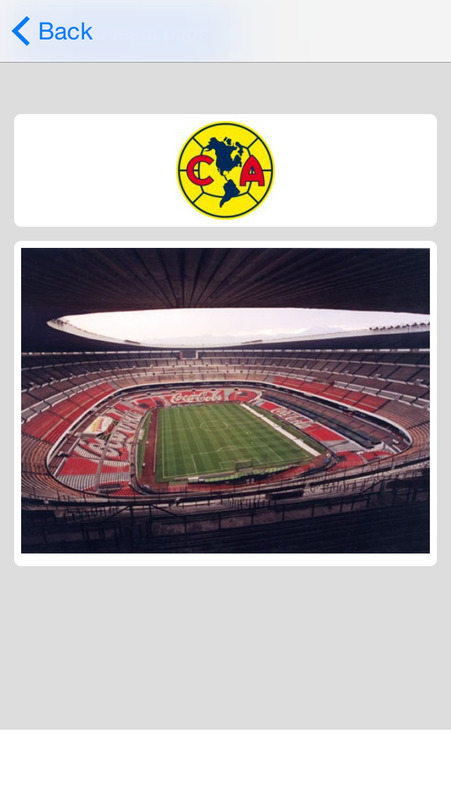 The Liga MX app also automatically saves the teams you are more interested in and orders them following your choices. The live Primera División de México football scores are updated live 24/7!